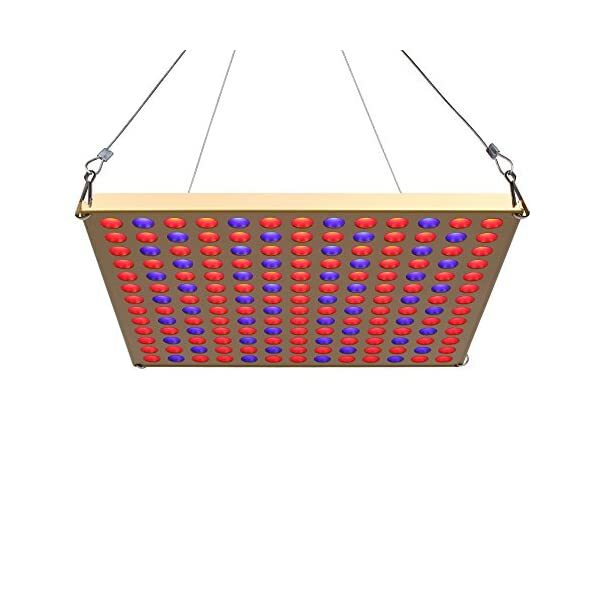 ▲OPTIMAL SPECTRUM:117pcs 660nm rich sources in red light are more efficient and beneficial for photosynthesis, best for flowering and seed production. 52pcs 470nm blue light is more necessary for Chlorophyll, best for promoting stem and leaf. 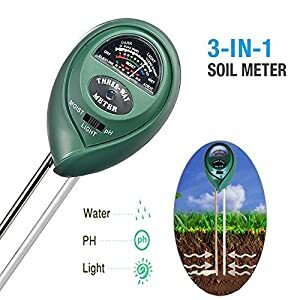 Ensures plants the most needed light energy, no extra useless white light, suitable for all growth stage. ▲HIGH EFFICIENCY, ENERGY SAVING:60 degree reflector cup plus high anti crystal reflective material, ensure all light energy can be well absorbed by plants, luminous efficiency reach up to 98% without any waste. 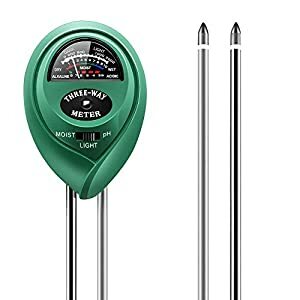 100W HPS/MH replacement while consuming only 26W! 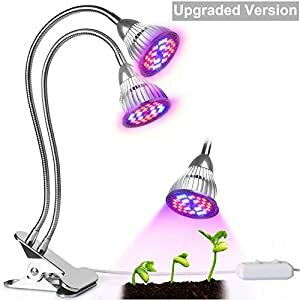 Save money on electricity bills and reduce your energy consumption, boosting your plants growth with our premium grow lamp use for over 50000 hours! ▲EFFICIENCY HEAT DISSIPATION:panel light has no fans, no noise, but heat dissipation will be a problem for longer use. To solve this problem, we adopt aluminum heat back panel, plus a small heat sink for each chip, ensure a 50% higher heat dissipation effect than other panel grow lamp. The external power supply replace the built-in power supply, greatly reduce its heat to the chips.Avoid the burning of chips over heat. 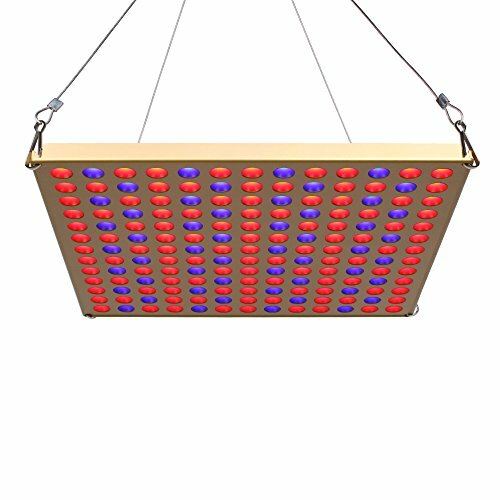 ▲PERFECT SUNLIGHT REPLACEMENT:as the research shows, 14-16 hours is the perfect illumination time for plants to grow healthy, natural sunlight can not meet the needs but our 45W grow panel can, it can provides plants adequate light all day even at long dull, cold winter period. 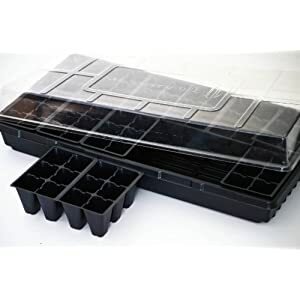 Widely used for all kinds of vegetables, fruit, medicinal plant, home & garden, hydroponic and greenhouse,etc. ▲EXCELLENT QUALITY:compared with plastic or paper backing on the market, our panels adopt aluminum alloy backboard, more stable and ensure a longer lifespan. Meanwhile, external power supply with safety certification, more safer than others without any certification. 15 months warranty and 30 days money back is our promise. We are M2C seller and will always stand behind our product.